Killarney Metals guarantees the structural and material integrity of its drip and drain pans. All craftsmanship and materials are warranted for up to 3 years under normal use and conditions. All welds on Killarney Metals' drip and drain pans will remain leak free for the warranty period. Handles, tabs and other additional factory installed enhancements on the drip and drain pans will remain functional for the duration of the warranty period. 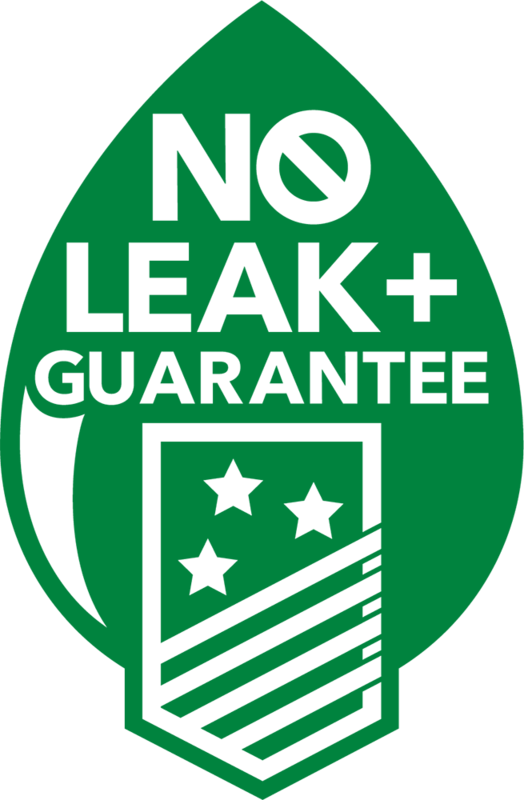 The Killarney Metals NO LEAK+ Guarantee covers only the product. If the drip and/or drain pan is unable to perform its intended purpose due to manufacturing defect* during the warranty term, we will replace the pan. Killarney Metals, it's parent company and associated partners do not assume liability for damages associated with drip and/or drain pan failures. *Normal use and condition refer to type of duty required and the characteristic of both the way the pan is used as well as the environment in which the pan is placed. • Warranty is voided by use and/or conditions that exceed the standard requirements of a pan. • Warranty is voided if drip and/or drain pan is altered in any fashion, whether intentional or accidental, from its original manufactured setup. • Warranty is for a 3 year term. • Warranty is voided if drip and/or drain pan is damaged in handling or service.